Please press play to view the demo below. 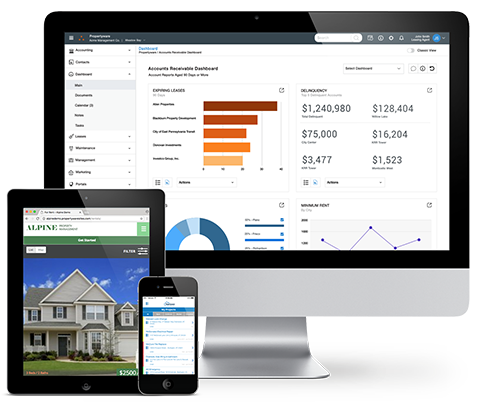 Propertyware helps manage everything from the leasing lifecycle to mission-critical management tasks, all from one platform. Reporting tools access real-time data with metrics filtered according to your preference, while standard or customizable reporting can be scheduled for timely delivery. Access details of your business from virtually any device, anywhere, anytime with our Mobile Inspections App. Dedicated owner portals allow viewing the most current transaction data, leases and agreements and more.